These are things you must know if you’ve been hurt. We are invested in your success. There is never a fee unless we win. See real client testimonials and find out why they love us. Bart Bernard launched his personal injury law firm in 1997 to help Louisianans who have been injured through no fault of their own. His wild success led to the opening of offices in Lafayette, Baton Rouge and Lake Charles. He was ranked in the top 1% of lawyers and received the prestigious Trial Lawyers Board of Regents Litigator Award in 2015. Over two decades, Bart has developed a reputation as a tough opponent who will go the extra mile for his clients, but also as a compassionate citizen who donates to local charities. Bart Bernard is not afraid to take on the difficult cases like medical device failures and harm caused by recalled products. He sees that his client’s best interests are taken into consideration, standing up to big business and reckless individuals who are callous the suffering of others. His goal is to see that every accident victim is cared for, emotionally and financially, to live with dignity in spite of the hardships faced. Motor vehicle accidents represent some of Bart Bernard’s biggest wins, with settlements and jury awards reaching into the tens of thousands – and even millions — of dollars. The Louisiana personal injury law firm’s established network of crash reconstructionists, medical experts, driver safety instructors, police officers, auto body specialists, insurance claims adjustors, and other professionals are ready to go to bat for you! A personal injury attorney is a valuable and knowledgeable friend to have. Bart Bernard understands federal and Louisiana laws that pertain to your case, knows how to discover the truth behind a murky accident, and helps you stay on top of the necessary paperwork to keep your case moving forward for a speedy resolution. Bart Bernard’s clients include accident victims, as well as spouses and children of loved ones who paid the ultimate price for the negligence of another. Damages awarded may include medical bill coverage; lost past, present and future income; emotional pain, suffering and hardship; loss of consortium; loss of support and guidance; disability-related modifications; wrongful death and funeral expenses. Additional penalties can send a message that wrongdoing and negligence do not go unpunished. 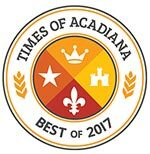 Bart Bernard has built a well-known law firm in Louisiana, with a strong reputation for superior service in helping victims of negligence, recklessness, and wrongdoing. It is common for defendants to offer settlements prior to trial, especially when they know the deck is stacked against them. Bart Bernard will not allow insurance company bullying or low-ball offers to undermine the recovery of plaintiffs who are already suffering. The state of Louisiana allows for comparative negligence even when plaintiffs assume some liability in their accidents. Sometimes the statute of limitations leads people to believe they no longer have the grounds to sue, but personal injury lawsuits can be filed up to two years after the discovery of harm, which can extend the deadline. Call 900-9000 for more information on how the law applies to your case. Bart Bernard and his dedicated staff will ensure that you are treated fairly and taken care of, and that all your questions are answered. Bart Bernard has represented people with injuries ranging from multiple fractures, punctured organs and complex infections requiring hospitalization, to traumatic brain injuries, disabling spinal cord damage, and disfiguring burns. Louisiana juries tend to be very sympathetic with plaintiffs who suffer deep losses – not just the tangible economic losses, but loss of mobility, loss of the ability to pursue their hobbies, loss of enjoyment in life, and loss of companionship. Bart Bernard developed notoriety in aggressively taking on big defendants – and winning. For instance, in the case of Trenton Broussard vs. LA Farm Bureau, Bart Bernard was able to recover over $2 million for his client, who was rear-ended by an uninsured motorist and denied coverage under the uninsured motorist part of the policy. LA Farm Bureau ultimately lost their appeal in court. In another landmark case, Ron Warren vs. Teleflex, a jury in state district court of Louisiana awarded $23 million in punitive damages to a man whose son was killed in a Prien Lake boating accident. The jury found that Teleflex was negligent in the design and safety testing of their boat steering system. Fifteen years of internal testing showed that problems could arise when hydraulic fluid leaked out, but they sold the systems without warning. Expand to view our practice areas. Bart Bernard is a native of Lafayette and an active member of the community. 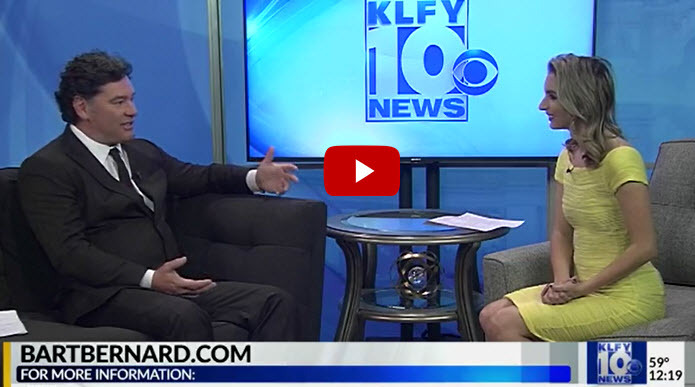 He was recently interviewed on KLFY 10 News discussing the firm’s campaign to help Acadiana families in need to have a better Christmas. 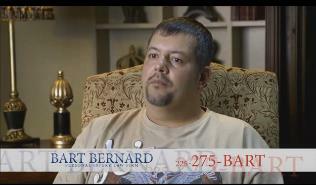 Bart Bernard is a personal injury attorney who cares and understands what you’re going through. He also has the experience and the vast network of experts to help you build a strong enough case to win. 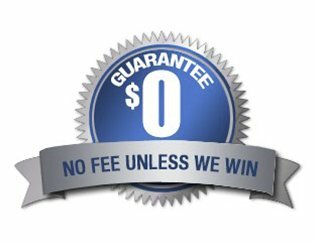 All legal counsel is on a contingency basis only, so you pay nothing except for a small pre-determined fee based on your winnings. Call 900-9000 any time, day or night, for more information on pursuing a legal claim for your personal injury. This was a bad accident and I knew I needed representation. Bart Bernard got me over a million dollars. Hiring Bart was the best decision I ever made.